At JiC we know how much you love your phone, that’s why we want to give your phone The Loving Care and protection it needs— without compromising on style, of course. When you’re selecting your OOTD, we want you to go beyond just accessorizing with the usual watch and jewellery, but to use your phone casing as a form of accessorizing as well. We’ve got just what you need with our wide variety of casings for all genders and age groups. 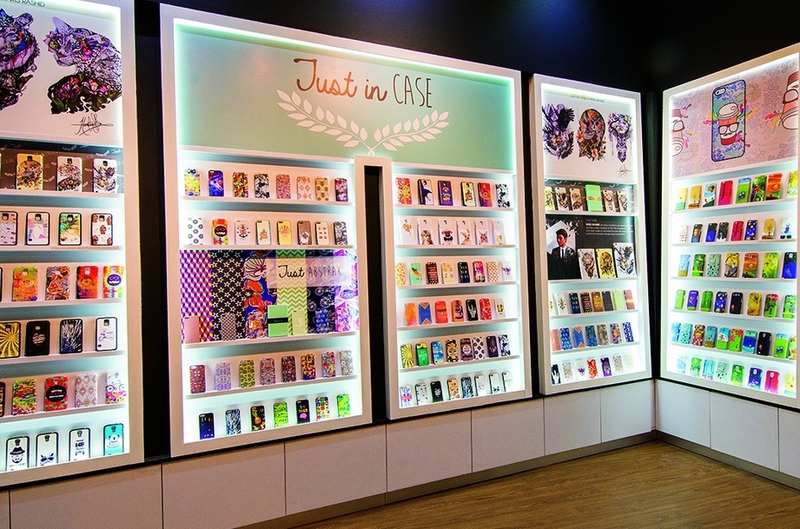 Dress up your phone with our collection of trendy in-house designed hand phone casings. Not only are we are passionate about the designs and quality of our casings, but most of all about you, our customer. All our one-of-a-kind designs come in limited quantities too, so you won’t have to worry about your casing being too ‘mainstream’. You’ll draw looks of envy with your unique hand phone case whenever you’re making a call, surfing the net, or even taking that ever-important selfie. If you’re up for delightful surprises, then you’ll be glad to know that we never let you go home with just a phone casing. We want to spoil you with gifts, whether they’re small trinkets, gift vouchers or simply an awesome discount. Do keep a lookout for our collaborations with local and international designers and artists as well, and grab the special edition casings that will only be available in limited quantity for a certain period of time. So grab a phone casing or two from Just In Case and get creative by mixing and matching the casing to suit your outfit, or even the other way around! Address: K-L2-06, 2nd Floor, Level 2 12, Persiaran Anggerik Vanilla, Kota Kemuning Section 31, 40460 Shah Alam. Selangor.